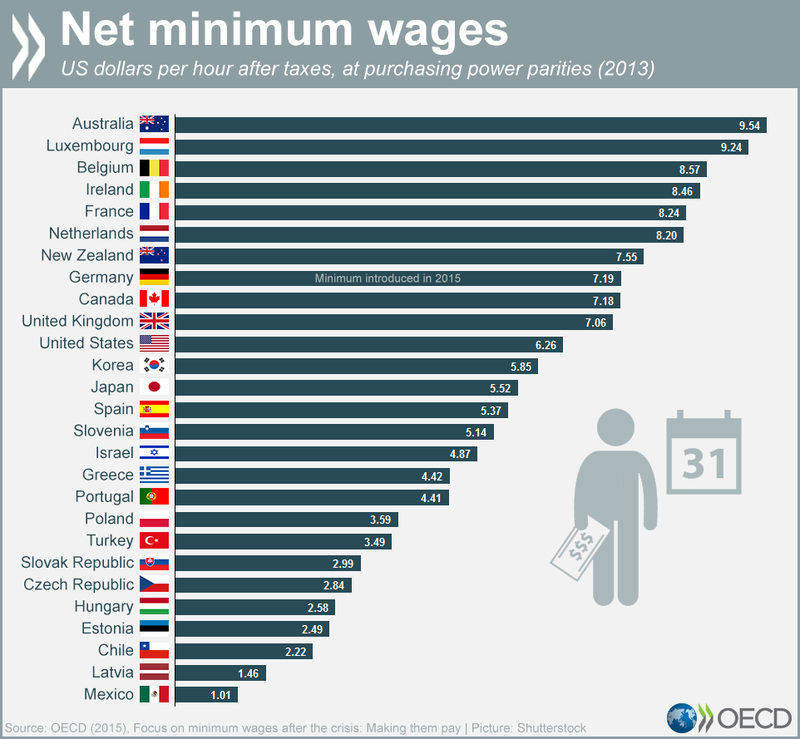 It illustrates the after-tax value of the hourly minimum wage, in US dollars, in the OECD countries that have instituted one. Australia and Luxembourg lead the group with wages over $9 an hour each, and Latvia and Mexico are at the bottom with wages under $2. The US, where the federal minimum wage is $7.25 per hour, or $6.26 after taxes, ranks 11th. Broken down by state, however, there is some variation among the 45 states that require a minimum wage, ranging from $9.05 per hour in Washington, DC, to $5.15 an hour in Georgia and Wyoming. The Guardian reported that 21 states raised the minimum wage in 2015, and multiple states have begun the process of raising their minimum wages to $10.10 an hour.